We are a professional couple, and we live in the Twin Cities Minnesota area. 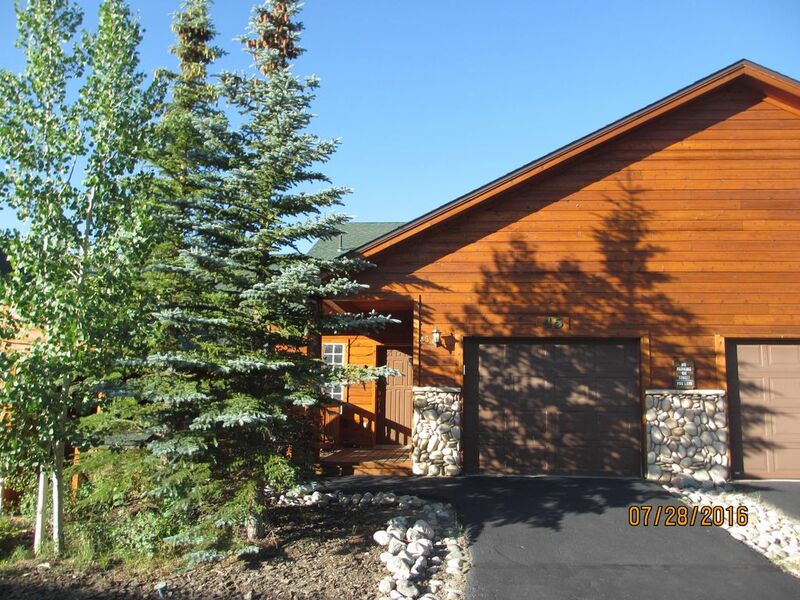 We purchased this property new in 2000, so that we could use it for skiing and summer activities. It is a second home, and we make it available for vacation rentals when we are not using it. Very comfortable, easy ground floor access, tastefully decorated. Convenient to shops, restaurants, and 6 major ski areas. Located in town of Dillon. Telephone with Voice over IP. In floor radiant heat with separate zones for upper and lower floors. All linens provided, including bed sheets, pillows, and pillow cases. Clothes dryer is in the unit. Parking in driveway or garage. Driveway is only long enough for one car. Small guest parking lots available across street, and down hill. No trailer parking outside. Not parking on the street. High speed broadband internet with wireless router provided. Living room with queen sleeper sofa, love seat, and stuffed chair. Gas fireplace, HDTV. Dishes and eating utensils provided. Dining room table seats up to 8. Kitchen eating bar seats up to 4 on bar stools. Blu Ray Player in living room. DVD players in 1st and 2nd bedrooms. Balcony on main level off the dining room. View of Buffalo Mountain from the balcony. Gas grill and small table and chairs are provided. Weber 2 burner natural gas grill. Deck on mail level, containing Gas Grill, patio table and chairs. 2 shared hot tubs in a separate building. About 100 feet from unit. Jetted whirlpool in Master Bathroom. Close to City Market and Dillon Theaters. Just a few blocks from downtown Dillon, and Lake Dillon.